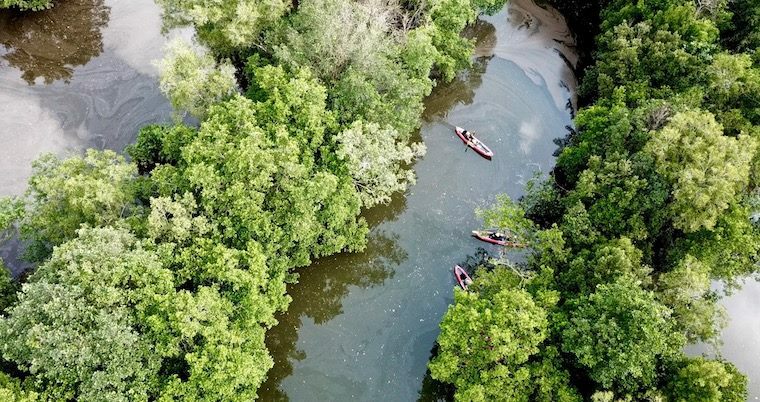 A leisurely paddle into one of the last riverine mangrove on our shores. If you have never paddled before, this trip would be a good introduction. The kayakers will learn about the Giant Fig, snails, rubik cubes, lobsters, and why there are plenty of babies in the mangrove. Be inspired by the "beauty and brains" of this riverine system. Level: Suitable for those without kayaking experience, families, and children.